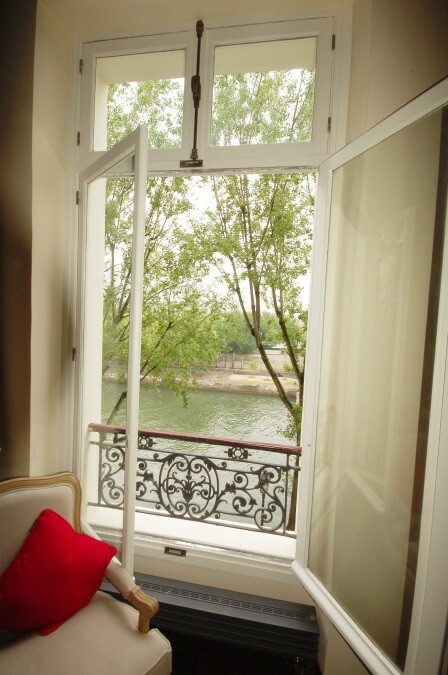 It seemed only natural, after 6 years in business to bring you our own handpicked Girls’ Guide to Paris vacation rentals in Paris. Why? 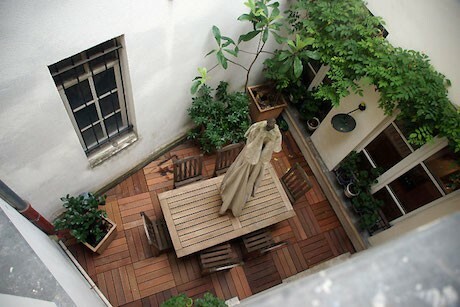 The smaller terrace off our 1st Paris apartment. 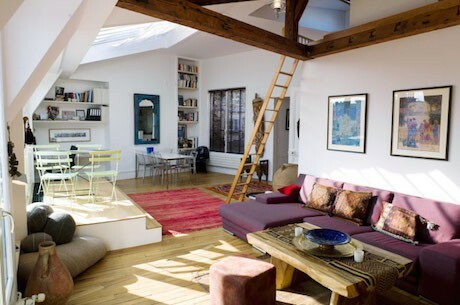 I’ve owned or rented my own place in Paris now for 15 years. I’ve also rented out places I’ve owned. 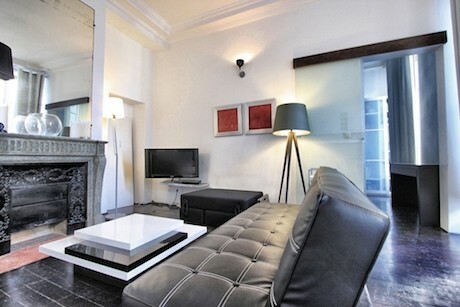 I have stayed in a huge number of Parisian hotels and I’ve stayed at many Paris apartment rentals, both through agencies and via owner advertised sites like Air B n B, VRBO and Home Away. I’ve also rented through huge and small agencies and there is a difference to each type of rental offering. My partner Jennifer has been in real estate for most of her life and manages a bunch of apartments in Paris including mine. 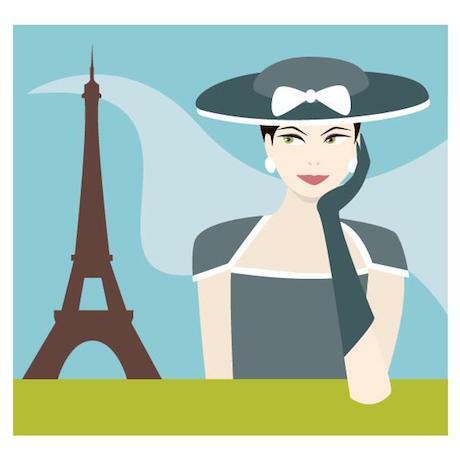 She also has her own tour company in Paris Muse of Paris and she’s been doing her orientation tours in Paris for many of our readers for years now. 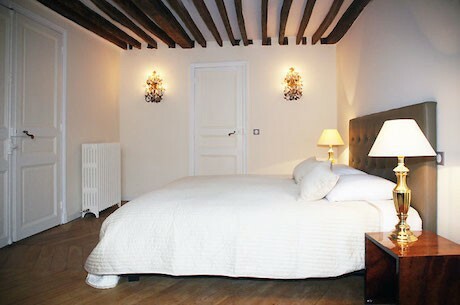 Having had great and some terrible experiences in Paris and throughout France whilst renting for a week or more, we wanted to bring you the easiest and most hassle-free vacation experience and one that was chock-full of a lot of extras. When you deal directly with apartment owners via Air B n B, VRBO and others, 75-90% of the time you won’t have a problem, but sometimes owners don’t know what clean really means. And occasionally the welcome is too fast and furious – whomever opens the apartment for you doesn’t show you how things work, which can be really frustrating during your stay. 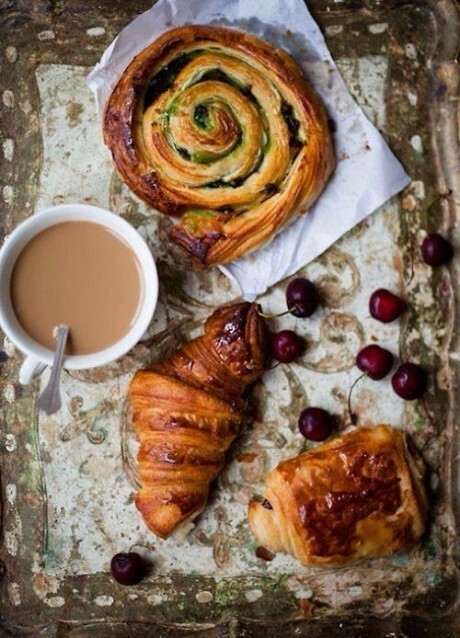 Very often they won’t show you what to do in the neighborhood, where the markets are or which bakery has the best croissants. A worst case scenario, which only seems to happen via Craig’s List is showing up to an apartment that doesn’t actually exist and figuring out you’ve been scammed. 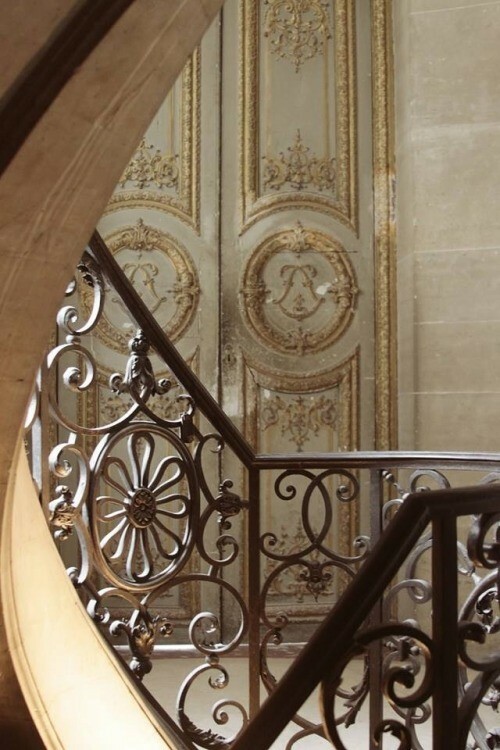 The big huge Paris rental agencies with many hundreds of apartments really just act as a site for owners to rent through, so you have no recourse with them if the rental is less than spectacular. 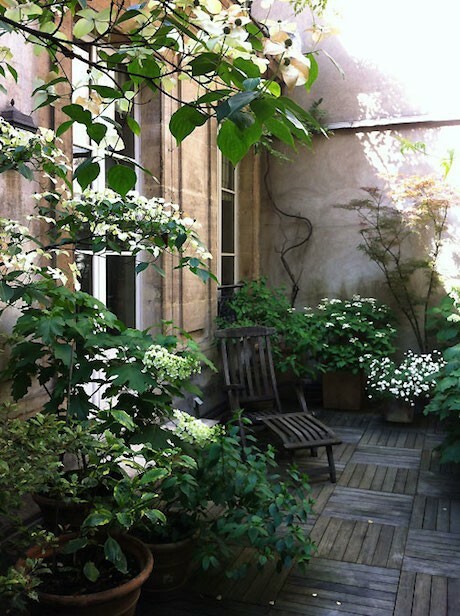 I found that out the hard way when I rented what looked like an adorable apartment for 6 weeks in the Marais one summer. When I entered the owner dashed off before I had a good look in the fridge and found rotting cheese, a freezer that hadn’t been defrosted in years, hundreds of his personal toiletry products clogging up the bathroom cabinets and other things to gross to mention here. I had to pay a cleaning lady to come just so I could stay the night. The agency said my issues were between the homeowner and myself, and they wouldn’t be of help to me. Needless to say, it colored my stay quite negatively. How about a view like this one? 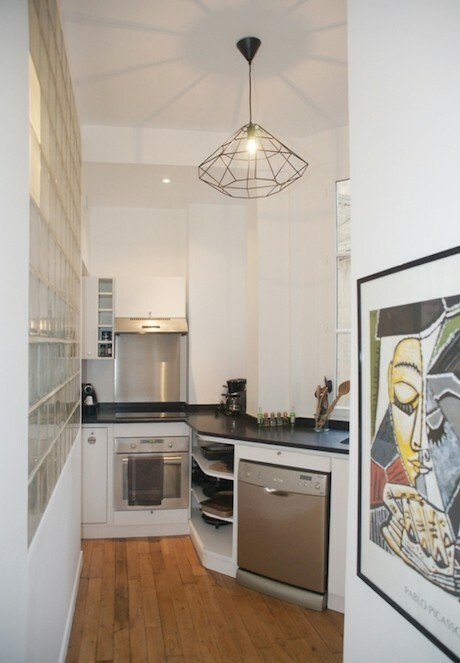 One of our most stunning flats. 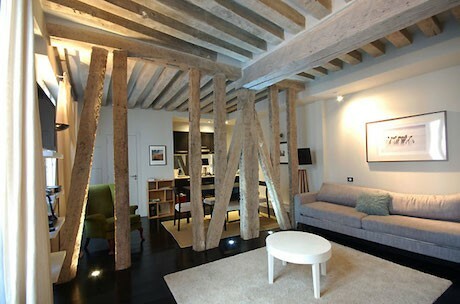 1) We’ve checked the place out and approved the flat as a place we would recommend to our best friend or sister. 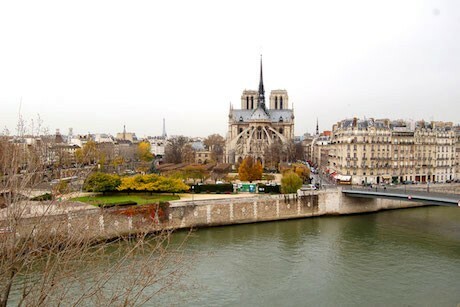 2) Every apartment rental of 5 days or more comes with a free Girls’ Guide to Paris GO-Card, a $75 value. With your GO-Card you get special deals, gifts with purchase and VIP treatment at over 250 partners that we have in Paris and throughout France plus you’ll get a set of our most popular DIY downloadable Paris walking tours. 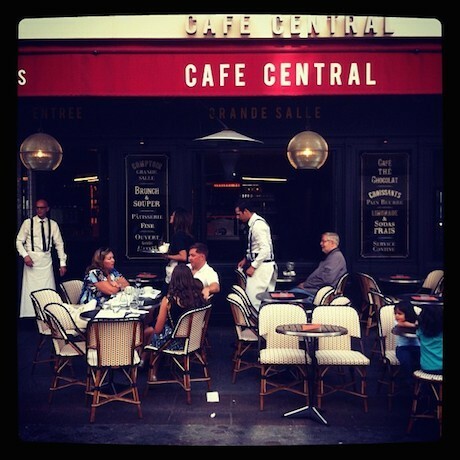 The places to go, see, dine and drink in each area. 3) Every apartment comes with a neighborhood directory, which includes our picks for the best places to eat, shop and see while staying in the area. 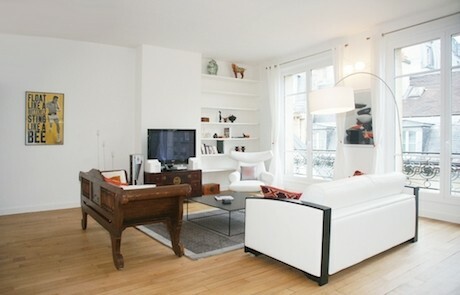 At a few special apartments we offer an orientation tour of the area by a long-time resident of Paris. This will give you hands on familiarity with your district as well as how to use the metro, where the nearest market is & more. 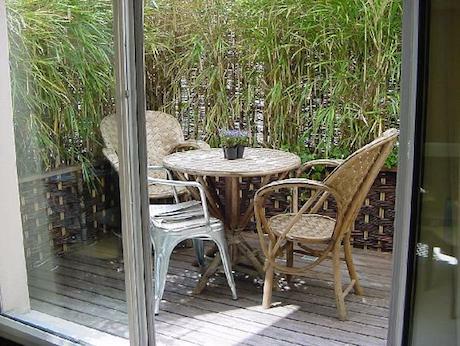 4) All 1 week rentals include a book of metro tickets, a free glass of wine at a well known Parisian wine bar plus 10% off the most popular cooking class in Paris which includes a free market tote bag. We love apts with character. Book with us by June 30th, and you can stay anytime that the flat is available through 2016. When inquiring at [email protected], simply refer to gg2p10% off and Jennifer will take 10% off your entire rental price. This can result in up to $600 in savings! We’ve got something for everyone from a small one bedroom starting at 948 Euros a week or just 135 euros/$147 per night all the way up to a 4 bedroom that sleeps 8 and rents for 5871 Euros per week which is 839 euros a night but only 104 euros/$113 per person per night. 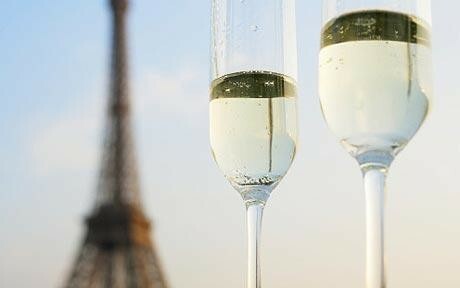 Bring a crew and have a party in Paris! 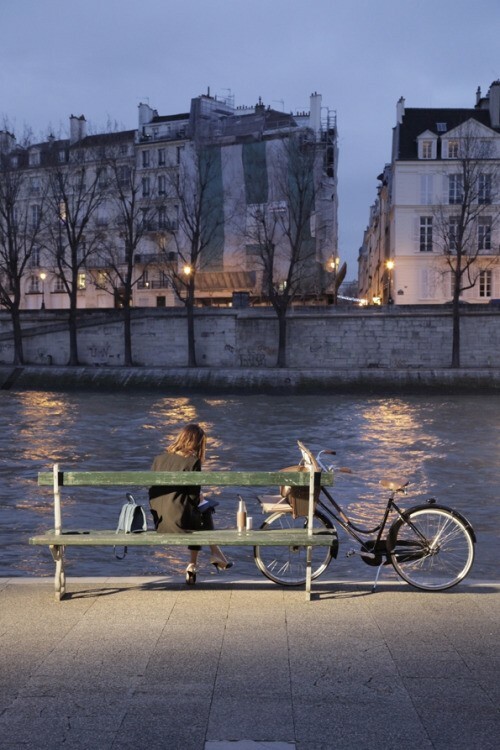 We’ve handpicked just a small number of flats to start with and we’ve found gorgeous places in your favorite areas like the Marais, the Ile St. Louis and St. Germain – most have stunning views of the Seine, Notre Dame or the boat basin or include balconies, courtyards or terraces. 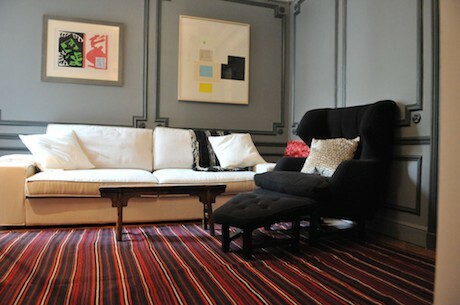 Once you’ve done the Paris vacation rental thing, you’ll never want to stay in a hotel again! Or inquire at [email protected] – its not too late to make 2015 a year to remember! Note: We are having a contest from 6/16/15 – 7/14/15 in honor of our new rental platform. 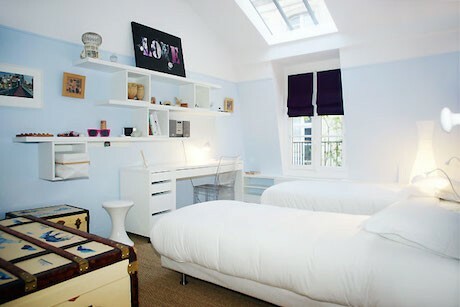 If you enter you could win a week’s stay in one of our most beautiful flats. Learn more on Facebook.